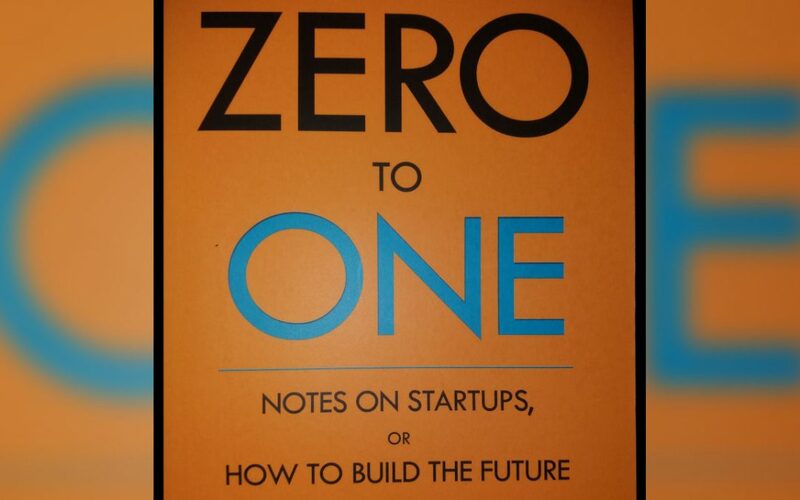 In Zero to One, Peter Thiel gives his guidelines for those wanting to build the next billion dollar startup. It’s a set of rules which, from experience, Thiel argues will help entrepreneurs hoping to create their own industry and reap the rewards in the same way Facebook and Microsoft, and every other game changer did. If anyone is in a position to lecture us on how to build a billion dollar startup, it’s Peter Thiel. He’s the billionaire investor and co-founder of PayPal, who currently serves as a founder of a 2 billion dollar Venture Capital fund. Thiel believes that every breakthrough startup is completely unlike anything else on the market. He makes the point that the next Facebook will not be a Facebook, because the problem of social interaction networking has already been solved now. The next social network needs to be different, just like snapchat is. This is the same for any industry; you need to be completely unlike anything else. Try to tackle a problem that no other company has been able to crack as an integral part of their business model. Start with something good. He says your product should be at least ten times better than anything else on the market so that you have an advantage. Realistically, it’s the only hope you have of competing with large corporations. If your product or service is only marginally better than the competition, you can expect to lose. But if your product is 10x better than anything else on the market, it will sell itself, even in the face of fierce competition from established businesses. In Zero to one, Network Effects are defined as situations where the number of customers using your product or service contribute value to the business. It can be in any way – like the content created by social media users, or the financial contributions of users on investing websites like Seedrs. Either way, the value brought by your users helps the company to reach a new level of growth and profitability. Make sure your business can benefit from Network Effects. Peter Thiel says that economies of scale are businesses which can grow indefinitely without the cost of running it also growing. This way, your overheads will stay around the same level but profits will skyrocket. An example Peter Thiel uses is software companies. As they have already created their product, the software, their one time cost has generated a lifetime of product. They can sell that software for the rest of their lives without needing to even change it. Another example is an ebook. If you write an ebook, all the hard work and financial input will be behind you – but you can sell it to as many people as possible. Find a way to use Economies of Scale in your own business, where possible. Thiel recommends you start your business with a small niche which has a relevant market that you can easily dominate. That way, success is almost certain. You won’t have any competition. It’s also easy for you to build a community around your product because most niche’s already have a small and tight-knit community. You just need to tailor make a product they will like, which is ten times better than it’s nearest competing product. If you immediately jump into a huge market, you’ll get swept away by the waves of competition. Find yourself a nice small pond where you can establish yourself. As you grow stronger, you can look to bigger markets. In his book, Thiel argues that the very goal of a new startup is to build and maintain a monopoly. With a monopoly, almost all of the profit in your market will belong to your company as your competition will be too weak to help you. He brushes aside the bad view society has of monopolies and makes the point that your job as a business founder is not to help the economy, but to help your own business. He uses google as an example. It’s clear to all that google has a monopoly on search. Be like google. But don’t forget to maintain your monopoly after gaining it. You should build a business which can still be going strong 10 years from now. A business which isn’t just going to fade away after a couple of years. Part of this would be tactics to maintain your company’s monopoly on the market – but also, your product or service must be built to last. Maybe it’s a timeless service which ages like wine, rather than fruit. Maybe it’s a service which can easily adapt to suit the ever-changing business environment. Just make sure it can survive at least ten years. Don’t die like Blockbuster Video. My instinct warns me against some of the rule in Zero to One, but I remember that Peter Thiel is in a much better position to give business advice than I am to criticize it. So we should probably trust him. On the other hand I’m not sure a business needs to be new or original to succeed – or even ten times better than it’s competitors. There are many examples we can look at of standard businesses being built due to their marketing efforts, rather than their product or service. With that in mind, you should remember that Thiel isn’t talking about building a moderately sized business. He’s talking about building the next billion dollar startup. The next game changer. Be careful not to mistake the two. Different goals require different methods. Yes, to those who genuinely wish to build a billion dollar startup. I would also recommend Zero to One to anyone starting a business, as they can also use many of the rules in this book.